Autoramas is one of the main bands in the brazilian independent music scene. The website of Rough Trade once wrote about them: Excellent Pop Garage. The most important independent band in Brazil. They play Rock and Roll that works really well on dance floors. They look retro-futuristic. They make a blend of 60's Rock, New Wave, garage sounds, the punk rock energy with pop melodies and choruses. They toured Japan, South America and they are going for their 13th European Tour. They were the first brazilian artist to play Vive Latino Festival in Mexico. Autoramas have released 6 albums and many songs in singles and compilations. And they are preparing the new album for the first months of 2015! 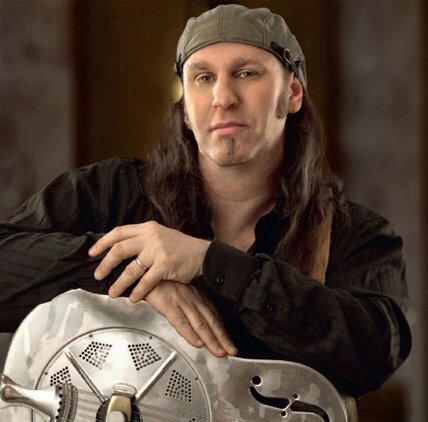 Brian Kramer from Brooklyn was barely out of his teens when he began hanging out with legendary blues men, picking up tips and advice from folks such as Buddy Guy and Junior Wells, whenever they visited his hometown of NYC. Junior Wells took a particular liking to Brian and paid careful attention in showing him the right moves and how to play from the heart. Brian has shared the stage, traded licks and recorded with the Legendary Taj Mahal, Toumani Diabate, Bob Brozman, Alvin Youngblood Hart, Robin Ford, Bobby Rush, Cory Harris, John Mayall, Sven Zetterberg, Jimmy Dawkins and many others; and performed at international events such as the Cambridge Folk Festival, Bull Durham Blues Festival, Chicago World Music Festival, Notudden Blues Festival, Portugal Simply Blues Festival, etc. 2015 Brian Kramer was officially recognized and inducted into the BLUES HALL OF FAME as a Master Blues Artist along with the members of Brian Kramer Band. Damian Cullen Band eli DCB on irlantilais-suomalainen bändi, joka on perustettu Helsingissä vuonna 2010. Bändin tyylisuunta on energinen punk-rock-pop-alternative rock-britpop. Akustisilla keikoilla bändillä on omanlainen tyyli esittää omia laulujaan ja covereita. 2012 Damian Cullen Band julkaisi EP:n ‘’Paved With Good Intensions’’ ja teki samana vuonna kiertueen Suomessa lontoolaisen Tango Piratesin kanssa. 2014 EP ‘’Cracking Up’’ julkaistiin Music Pledgessä. Craking Up sisältää EP:n Paved With Good Intensions biisit, sekä uutta materiaalia. Kolme vuotta EP:n julkaisun jälkeen, sen ostaminen mahdollistettiin useimmilla online-sivustoilla. Vuodet 2013-2017 Damian Cullen Band piti taukoa keikkailusta jakäytti aikaa uusien laulujen kirjoittamiseen, tuottamiseen ja videoiden tekemiseen. Damian Cullen teki myös yhteistyötä muiden bändien kuten Daggerplayn ja Hybrid Childrenin kanssa. Damian esiintyi myös muutamilla hyväntekeväisyys-keikoilla. 2018 Damian Cullen Band tuli takaisin keikkailun pariin uudistuneella kokoonpanolla. Bändi alkoi myös esittää täysin uutta materiaalia keikoilla vanhojen hittien lisäksi. 2019 bändi julkaisee jälleen uutta materiaalia. When playing unplugged, band has very creative and unique way to perform their own material and various covers. 2012 Damian Cullen Band released EP called ‘’Paved with good intentions”. The band made also a tour in Finland with the London-based Tango Pirates. the albums release was made available to buy on many digital sites. From 2013 -2017 Damian Cullen put touring on hold. Spending time songwriting, producing music videos, collaborating on songwriting with other artists and bands: Daggerplay/Hybrid Children, playing a few charity events and the occasional show in or around Helsinki. 2018. Now back, bad and sounding better than ever. Seeing Damian and a brand new line-up performing many new and great sounding songs as well as many off the classics he seems to knock out. 2019 DBC is about to release new material. Rock ’n’ roll, day after day – night after nightmare! Dead Flowers is a three-piece rock ’n’ roll dream - or nightmare - from Finland. This group declares the war against the world with familiar but effective armory - high heels, high guitar necks and high-pitched choruses. Dead Flowers was formed in the dark autumn of 2013 and named after a Rolling Stones song - well, what did you except? The musical roots of the band lay in the hard rock of the 1970’s and the 1980’s, but songs tend to evolve to various directions. Usually that means the combination of heavy riffs and catchy vocal melodies. 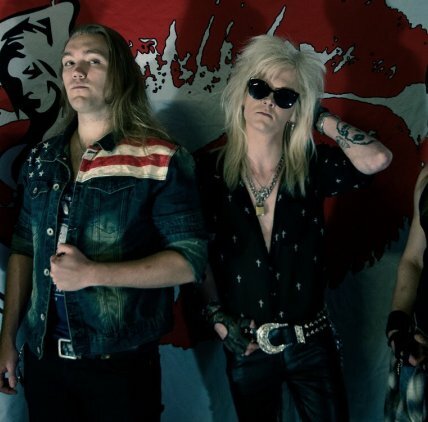 Dead Flowers doesn’t hide the echoes of the classic rock legends like Alice Cooper and Queen in their sound. Even so, the function of the band is not to yearn for the past but to sound timeless. The debut single ”Day After Day” / ”Electric Prayer” was released in the spring of 2015 (Rocks Off 2015), about a year after their first live show. To this very day the band hopes has already garnered attention as a visually appealing live act which dares to put up a good old-fashioned rock ‘n’ roll show – anytime, anywhere. From the core of rock ’n’ roll something grows. Seize the flower. Rootsy rock band with fresh and catchy tunes from Helsinki swamp-area. delivered with raunchy guitars and a great vocalist. Quo and AC/DC among others as corner pillars. "Ready to go" -video gives a first taste of what is to come in upcoming album. The Album will be released in 2018. Juureva rock-yhtye tuoreilla ja tarttuvilla biiseillä. southern rockia ja countrya - rouhealla kitaroinnilla ja loistavalla laulajalla. Esimakua tulevalta albumilta antaa Ready to go -video. Jari Rättyä & Käärmekeitto combines blues and world music, rock and couplet, electric and acoustic sounds in a unique way. 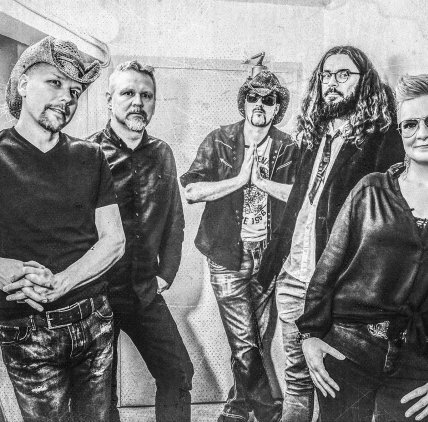 During the past years the band has achieved a strong reputation as a live band on clubs and festivals, Kaustinen folk music festival, Järvenpää Puistoblues and Faces, to mention a few. In addition the band has performed several times in Russia and toured the Czech Republic. Their single ”Schlager (Ulriikasta)”, released 2012, was air played on Yle’s radio stations (Finland's national public service broadcasting company) for several years. Jari Rättyä & Käärmekeitto has also won twice ”Levylautakunta” (Yle’s radio programme reviewing new songs) with their songs ”Aamen! Ja kioski kii.” and ”Puliveivi”. Their third album will be released late 2017. But above of all, Jari Rättyä & Käärmekeitto is an amazing live band. With dobros, bouzoukis, contrabass and percussions the band creates a sound and a rhythm that caresses the ears and the soul and makes your boots move! As a solo artist Jari Rättyä offers a superb show in a smaller scale. The rootsy acoustic playing and the tales of the songs are highlighted when the artist is by himself and the audience close to him. Book Jari Rättyä & Käärmekeitto – world blues on route Kainuu-Texas-Tibet! Jari Rättyä & Käärmekeitto - yhdistää bluesia ja maailmanmusiikkia, rockia ja kuplettia, sähköä ja akustisuutta ainutlaatuisella tavalla. Viime vuosina yhtye on saavuttanut väkevän live-bändin maineen klubeilla ja festivaaleilla, joista mainittakoon Kaustinen, Järvenpään Puistoblues ja Faces. Kotimaan lisäksi yhtye on esiintynyt useaan otteeseen Venäjällä ja tehnyt kiertueen Tsekin tasavallassa. Vuonna 2012 julkaistu singlebiisi "Schlager (Ulriikasta)" viihtyi Ylen radiokanavilla useamman vuoden. Levylautakunta-ohjelman Jari Rättyä & Käärmekeitto on voittanut kahteenkin otteeseen, kappaleilla "Aamen! Ja kioski kii." sekä "Puliveivi". Yhtyeen kolmas pitkäsoitto julkaistaan loppuvuodesta 2017. Mutta ennen kaikkea Jari Rättyä & Käärmekeitto on huikea livebändi. Dobroilla, bouzoukeilla, kontrabassolla ja lyömäsoittimilla yhtye saa aikaan soundin ja poljennon, joka hyväilee korvaa, sielua ja menee töppösen alle. Soolona Jari Rättyä tarjoilee yhtä lailla maukkaan keitoksen pienimuotoisemmin esitettynä. Juureva akustisuus ja laulujen tarinat korostuvat kun pelimanni on itsekseen ja yleisö lähellä. Tilaa Jari Rättyä ja Käärmekeitto - maailmanbluesia reitillä Kainuu-Texas-Tiibet!!! Kitto (AUS) is an Australian rock artist/songwriter based out of Sweden. Today her music has swept her throughout the globe in some 36 countries, collecting stories and observations from the North Pole to Tasmania, Robben Island to Tahiti. The scope of her live set of songs, mirror the influences from the world of travel. She performs solo shows and usually tours the spring and fall seasons. Kitto is also the co-founder and vocalist together with husband Pna Andersson for their Psychedelic Classic Rock band ‘Perfect Blue Sky’. She began her career in the early 90’s when she was signed to Australia’s most successful rock label Mushroom Records. In spite of big label support, Kitto craved the freedom to write, play and live the dream that comes from creating a true path beyond. She has continued her career as an independent artist ever since. Message from Kitto: “Now it’s soon about time put Grand Pa's Volvo back on the road in action and embark on this year’s ‘Acoustic Caravan Tour’ for 2017. Some exciting news to announce re. Finland. My agent Hamps based at Gogo Rodeo and I have joined together with Tanja Järvensivu of Lakeside Promotions to launch a 10 week media campaign starting March 13 on a national release of a cover ‘Aikuinen Nainen’ that we recorded based on a previous version by Finnish Icon Paula Koivuniemi. (Original name is"Madeletta Primavera") The challenge to sing in Finnish came from both friends and audience folk. It took a lot of laughs and practice but this song meant a lot to the Finnish audiences who come out to the live shows we have on the tours so far. So we thought to give something back to party out with! It’s not everyone’s “Cup of tea” but was fun to do! Thanks to Jassi at Zephyr Studio for shooting the video version and recording vocals. Also thanks to Hamps, Stene, Essi and Henna at Pub Grönan & Hotel Bulevard – Hanko, one of my fave sea locations, Scarecrow Recordings in Sweden for this 70’s version of “What would Steve Tyler do?” Special thanks to Robban Bäck from Mustache for his drums and Pna Andersson of Netherbird/Perfect Blue Sky for engineering the song and doing some awesome retro guitars. The official video goes live on March 13, but here is a preview for you. Aikuinen näinen preview video. 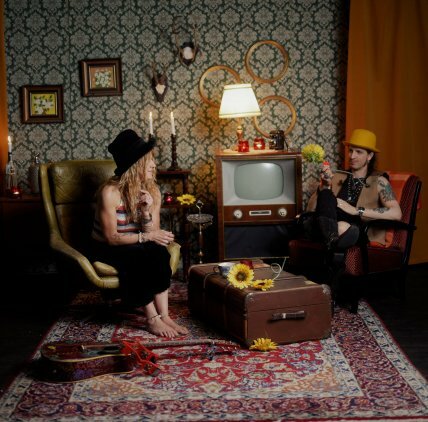 The 'Acoustic Caravan' session was made together with the brillant artistry of photographer Mikaela Holmberg”. 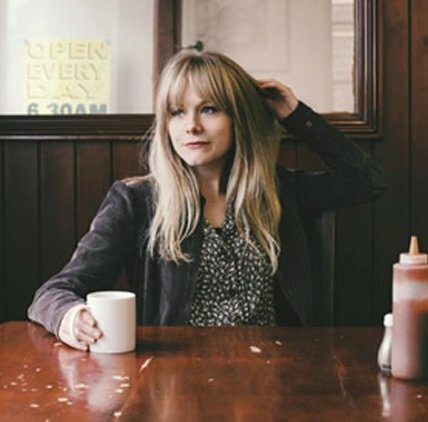 Lucy Kitt is folk rock and bluegrass singer-songwriter based in Kent and London. She has been writing/recording and performing for 10 years, her acoustic folk-rock songs are real, raw and original.Lucy has fans all over UK, Europe and California. With an eclectic mix of folk rock and country blues, she's fast developing a growing fan-base throughout the UK and beyond with her self-penned acoustic songs. 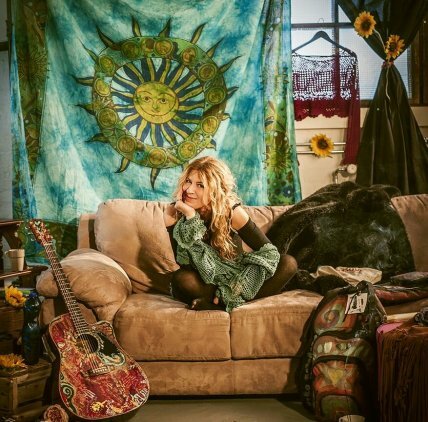 Beyond the UK, Lucy has fans across Europe and USA; having performed in Sweden and Switzerland, and organised her own mini-tour of North California, Lucy continues to spread her music far and wide. With radio air play in Australia as well as back home, and famous fans from the likes of anti-folk hero Billy Bragg, exposure of Lucy's music is fast catching up her exceptional talent. 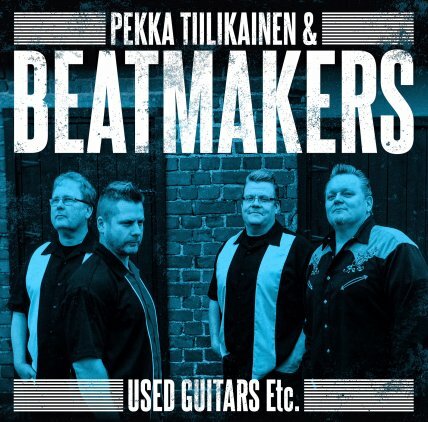 Pekka Tiilikainen & Beatmakers on yksi merkittävimpiä suomalaisia rautalankabeatin uudistajia jonka ura on kestänyt jo 30 vuotta. Yhtye palasi usean vuoden keikkatauolta syksyllä 2016 ja on viime vuosina keikkailut myös maamme rajojen ulkopuolella mm. Englannissa, Hollannissa, Saksassa ja Ruotsissa. Yhtye on harjoittanut myös yhteistyötä Graham Johnsonin kanssa The Renegades Revisited-shown muodossa. Yhtyeen tuoreimmat julkaisut ovat niittäneet kiitosta niin koti- kuin ulkomaisissa julkaisuissa. Pekka Tiilikainen: vocals, rhythm gt. Perfect Blue Sky (SWE/AUS/UK) is a multinational collaboration between Swedish folk/metal artist, Pontus (Pna) Andersson, and Australian rock singer and guitarist, Jane Kitto. One could suggest a reminiscence of Fleetwood Mac’s Lindsay Buckingham and Stevie Nicks reborn in these two primary writers. However their sound also embodies Zeppelin, Wishbone Ash and Pink Floyd influences. With the uninhibited vibes of 60s/70s psychedelic classic rock, 'Perfect Blue Sky' is filled with imagination and spirit. Perfect Blue Sky is a multinational collaboration between Swedish folk/metal artist, Pontus (Pna) Andersson and Australian rock singer and guitarist, Jane Kitto. Combining their influences as songwriters, their sound is genuinely reminiscent of the uninhibited vibes of the 60s/70s psychedelic classic rock era. 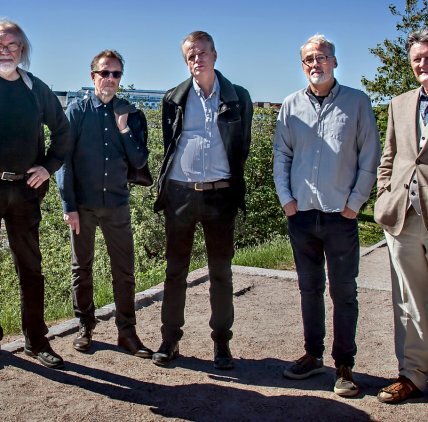 Although the duo had already established their song/performance partnership via previous band collaborations from 2006 to 2012, both Andersson and Kitto pooled their influences and love of the classic 60/70’s Psychedelic era to form a multi-national super group and host a cadre of well-known guest-musicians to feature on both their albums and live sets. Andersson is co-founder of leading Swedish metal band Netherbird, who have released 8 studios albums to date. As well as songwriting and performing, he is a highly ranked sound engineer who has worked on productions featuring Ed Sheeran, Martha Wainwright, I Blame Coco, Icona Pop, Salif Keita, Fu Manchu, Charli XCX, and Sonic Youth. Australian rock artist Kitto has performed in 34 countries, including Belarus, Tahiti, and at the North Pole! She was first signed to Mushroom Records (Kylie Minogue), and features in Australia’s Who’s Who of Rock & Roll. Whilst playing in Sydney in 1994, she was discovered by Jeff ‘Skunk’ Baxter of Steely Dan and The Doobie Brothers, who encouraged her to move to LA. There she supported Sheryl Crow at The Roxy, and performed at the Whisky a Go Go with Teddy Andreadis (Slash’s Snakepit) and Chad Smith (Red Hot Chilli Peppers). She has also appeared at the infamous CBGB in New York. In 2006 Kitto toured the UK and Scandinavia as lead vocalist for Janis Joplin’s original band, Big Brother and the Holding Company. Now based in Sweden, she has shared the stages with Dionne Warwick and Status Quo, and performed on live TV from the Prince’s Palace of Monaco. 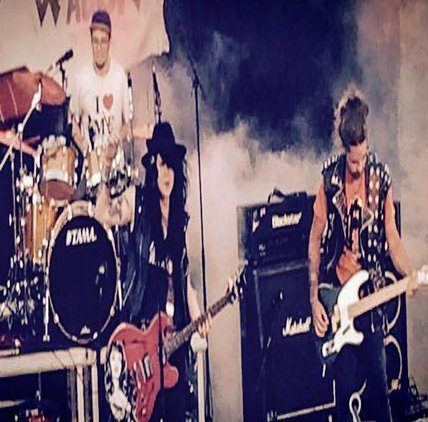 Together Andersson and Kitto have supported Pete Doherty and Tony Joe White, and have appeared at numerous festivals, including the Sweden Rock Festival and Les Enfants. 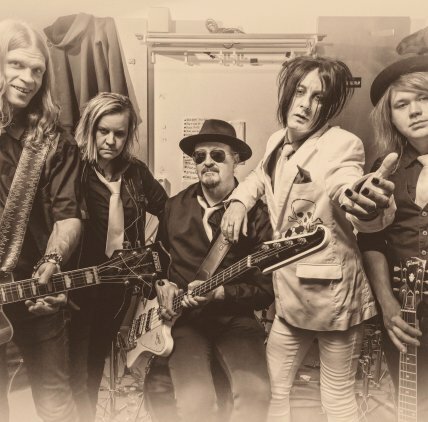 Their influences include Led Zeppelin, Wishbone Ash and Pink Floyd, and their sound and partnership has been likened to a current day Lindsey Buckingham and Stevie Nicks! Their outstanding new single ‘Give You My Love’ was released on 12th May, by UK label Right Recordings. The single is taken from the new album ‘The Eye of Tilos’, released on 19th May. The album features Jerry Donahue (guitarist for The Proclaimers and Fairport Convention) and Dave Getz (Big Brother and the Holding Company drummer). Also in the line-up is Frenchman Frank Bessard (Joe Satriani, Stanley Clarke) on drums, Australian keyboardist Danny Oakhill, and British viola player Lewis Parsons. ‘The Eye of Tilos’ is a warm analogue recording, reminiscent of the late 60s or 70s. All lyrics are reflections, tributes and observations written by Andersson and Kitto. The album title and content was inspired by a magical visit to the Greek island of Tilos. Perfect Blue Sky have just completed their first UK live radio tour including BBC and several commercial stations in May 2017. They have further radio interviews and live dates planned for later this year, to coincide with the release of their second single. Piia Kolima & Kozmic Company on alunperin 2013 perustettu, turkulainen bändi, solistinaan vahvaääninen Piia Kolima. Kozmic Company esittää Janis Joplinin tunnettuja ja vähän tuntemattomampiakin biisejä varmalla ja omalla otteella, unohtamatta muiden kohtalokkaitten naisartistien tuotantoa (Amy Winehouse,Tina Turner). Tulevaisuudessa saamme kuulla myös bändin omaa tuotantoa.Bändin lämminhenkinen,ammattitaitoinen ja kunnioittava lähestyminen biiseihin takaa yleisölle hienon illan rokkaavan ja messevän musiikin merkeissä. Bändi on esiintynyt mm. Baltic Jazz-festivaaleilla (2014 ja 2017). Bändi soittaa yhtä mielellään pubeissa, rockklubeissa, terasseilla ja festaristageilla. Solisti Piia Kolima on bongattu myös vuoden 2017 The Voice of Finlandissa! Tilaa Piia Kolima & Kozmic Company keikalle ja fiilis on taattu! 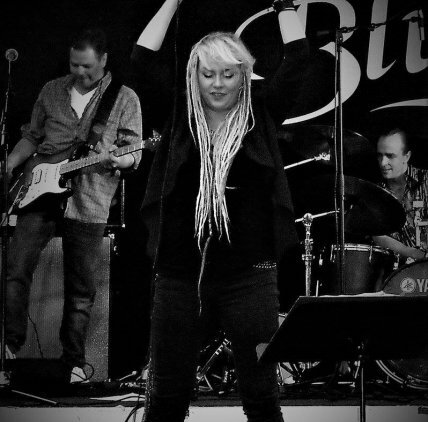 Piia Kolima & Kozmic Company is 2013 formed band at Turku-Finland featuring strong and bluesy voiced Piia Kolima on vocals. Kozmic Company plays Janis Joplin´s best known hits and also rareties with intense and original touch not to forget other powerful female artist songs (e.g. Amy Winehouse,Tina Turner). In future we´ll be hearing the band perform also their original music. Kozmic Company´s cosy, professional and respectful approach to Joplin´s music gives the audience an awesome night with groovy rock and beautiful power ballads. Band has been performing at Baltic Jazz-festivals (2014 and 2017). Vocalist Piia Kolima has been also at The Voice of Finland 2017! Band does with pleasure all kind of venues incl. music pubs, rock clubs, terraces, private parties and festival stages. Book Piia Kolima & Kozmic Company`s gig and enjoy! 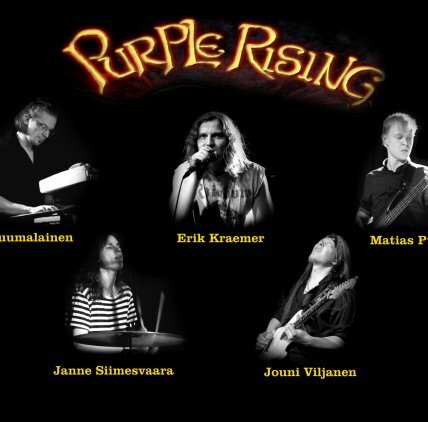 Purple Rising tribute band was formed to celebrate the greatness of Richie Blackmore´s Deep Purple and Rainbow keeping this music alive for years to come. PR is not just another cover band. Band show is hard as diamond and the songs are played just like they are meant to be played. Among all time classic Purple/Rainbow hits there are few surprises that are seldom played live. An evening at rock club or pub couldn´t get any better than rockin with these guys. Purple Rising does also private parties and corporation gigs. Contact GoGo Rodeo Agency and order Purple Rising to your venue! Purple Rising is the simply the best Purple/Rainbow tribute band in the world. This quartet will rock your souls with their hard-hitting tunes, rough licks and soaring vocals! 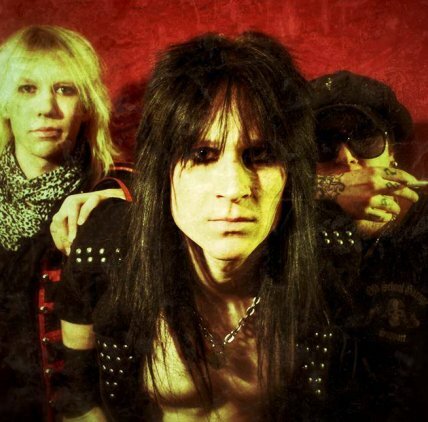 Formed in 2010, Rust n' Rage has been touring non-stop mainly in Finland but also Scandinavia and England. They released their debut-album "Showdown" in 2013, and their second baby came out in 2018 called "Tales from the Wasteland". You can hear influences in their music from the great bands of the 80's, like Judas Priest, Guns n' Roses, Dokken, while still carrying their own unique sound. See you in rock venues around the world! Tämä nelikko ampuu suoraan sydämeen kovilla melodioilla, järeillä riffeillä ja räjähtävillä vokaaleilla! Vuonna 2010 perustettu Rust n' Rage on tehnyt keikkaa niin Suomessa, kuin Skandinaviassa sekä Englannissa. Esikoisalbumi "Showdown" tuli ulos vuonna 2013, ja nyt tänä vuonna on julkaistu odotettu toinen pitkäsoitto, "Tales from the Wasteland". Bändi ottaa vaikutteita 80-luvun suuruuksilta kuten Judas Priest, Guns n' Roses, Dokken, samalla tuoden mukaan oman kosketuksensa ja soundinsa. Nähdään lavoilla ympäri maan! Sarca soittaa munasarjarokkia mielettömällä asenteella! Sarca on nuorta naisenergiaa tihkuva bändi, joka on perustettu vuonna 2002 ja keikkaillut vuodesta 2005 lähtien.Bändi on julkaissut useita omakustanteita ja yhden pitkäsoiton "Nollasta sataan" (Hype Records 2012). Sarca on tullut tutuksi myös TV-ohjelman "Duudsonit tuli taloon" ensimmäisen tuotantokauden myötä. Sarca säveltää kappaleensä pääsääntöisesti itse. Muutamia kappaleita on tehty yhteistyössä myös suomalaisten huippunimien, mm. Negativen Jonne Aaronin kanssa. Sarcan suunnitelmissa on julkaista uutta materiaalia 2016. 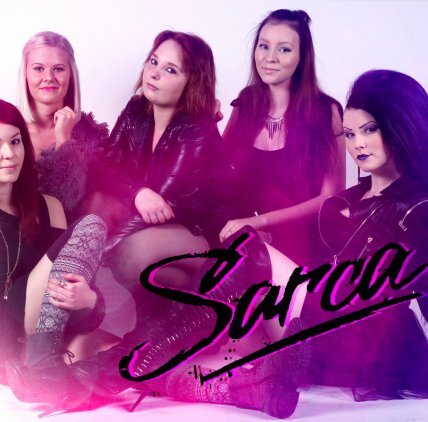 Sarca(FIN)Sarca is all-female group that plays their own "ovaryrock" with incredible energy and attitude!Sarca have published their debut album "Nollasta Sataan" (Hype Records 2012). The first album have mainly Sarca´s own music and lyrics. Some songs are made with finnish name artists like Jonne Aaron from Negative. New music from Sarca is coming out at 2016! 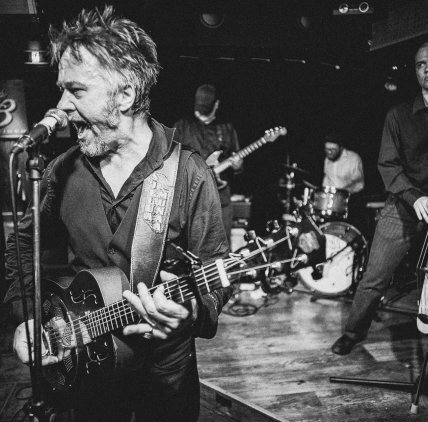 Smuck Wagon is a garage rock n' roll band from Nowhere Land, or as the map says - Aland Islands. Hard working trio, delivering some loud, noisy action punk`n`roll. Bored kids with big guitars released their EP "Asylum Boogie" Jan 2015. Whauuuuw!!! Garage Madness from the Jungle! 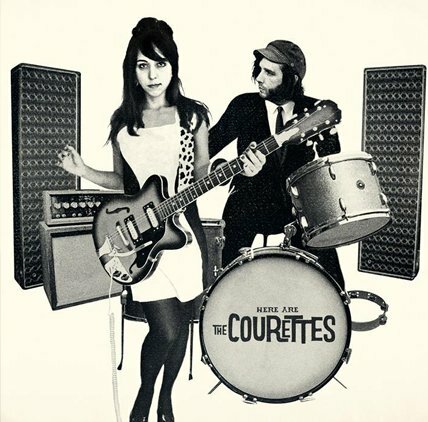 The Courettes is a new garage duo from Brazil and Denmark. It`s savage, it`s dynamic. A blast of jungle wildness and scandinavian rock`n`roll. Riot grrrl in the garage will blow of your mind with atomic fuzz guitars and screaming raw vocals and beat, beat, beat man Martin Couri will make you s-s-shake with his loud as hell drumming! Their first album, produced by Kim Kix of Power Solo, coming soon 2015. Go check them out before they fly throughout the world... and the galaxy! Tarkoitus ei ole ollut perustaa uutta Wigwam yhtyettä ilman Jim Pembrokea. The Wigwam Experience yhtyeen mottona on: "Wigwam on kuollut, mutta sen musiikki elää! Art rock, deep pop, progressive rock - Wigwam musiikkia lähes 50 vuoden ajalta!" Wigwam yhtye perustettiin syksyllä 1968, perustajajäseninä Nikke Nikamo, Mats Hulden, Ronnie Österberg ja Jim Pembroke. Jukka Gustavson liittyi bändiin kesäkuussa 1969. Pekka Pohjola liittyi bändiin kesällä 1970. Gustavson ja Pohjola lopettivat yhtyeessä kesäkuussa 1974. Rekku Rechardt oli liittynyt bändiin alkuvuodesta 1974. Rekku on yhdessä Jim Pembroken (asuu nykyisin Kansas Cityssä Yhdysvalloissa) tuottanut merkittävää musiikkia Wigwam yhtyeen puitteissa. Esa Kotilainen on myös vuosien varrella ollut useampaan otteeseen ollut yhtyeen jäsenenä. Paavo "Pave" Maijanen on ollut tuottamassa ja taustalaulamassa monilla Wigwam levyillä ja Jan Noponen on ollut yhtyeen rumpalina useissa eri Wigwam vaiheissa.